In the 1950s France, in the midst of dealing with insurgencies in its colonies in Algeria and Indochina, recognised a military need for easily transportable artillery that could quickly be deployed to the front lines. 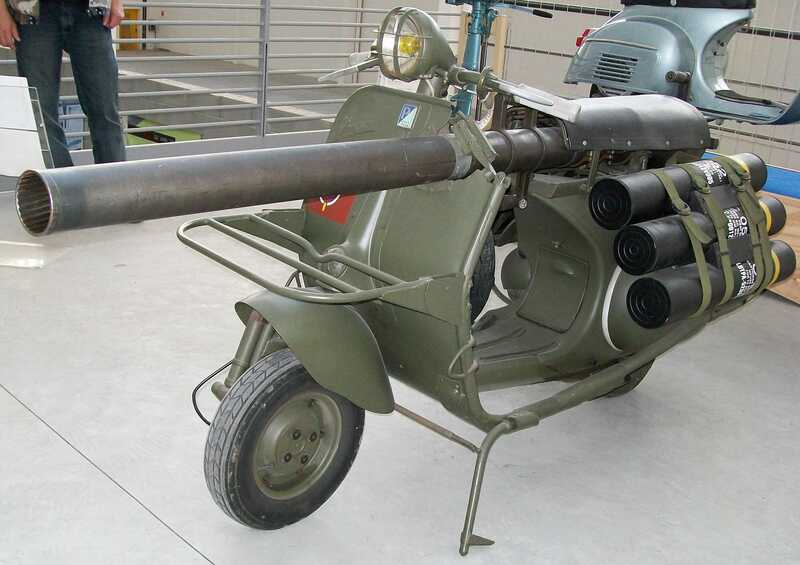 It happened upon one very novel solution: a militarised Vespa scooter with a built-in armour-piercing gun. The Vespa 150 TAP, built by French Vespa licensee ACMA, was designed expressly to be used with the French airborne special forces, the Troupes Aéro Portées (TAP). The Vespa TAP was designed to be airdropped into a military theatre fully assembled and ready for immediate action. This high level of mobility made the TAP the perfect anti-guerilla weapon, since enemy irregulars could appear at a moment’s notice even in remote locations. Outfitted with an M20 recoilless rifle, the TAP proved more than capable of destroying makeshift fortifications used by guerrillas in Algeria and Indochina. The M20 was designed as an anti-tank recoilless rifle that was outfitted with a high-explosive anti-tank warhead. Under ideal circumstances, the rifle could penetrate 100mm of armour from 7,000 yards away. The M20 outfitted on the Vespa was never actually meant to be fired while the vehicle was in motion. Instead, the Vespa frame functioned as a way of transporting the artillery to the front line. Once there, the rifle would be removed from the Vespa and placed on a tripod for accurate firing. Remarkably, aside for a slight overhaul of the engine, plus the inclusion of the rifle and ammunition mounts, the standard Vespa and the TAP were designed almost identically. 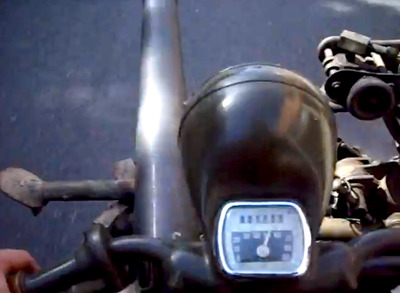 The TAP had a strengthened frame and lower gearing, but besides that it drives just as any Vespa would. About 500 total TAPs were produced throughout the 1950s. However ingenious the TAP was, the vehicle was never used outside of the French military during engagements in Algeria and French Indochina. Here’s a video of a TAP being driven.